Enjoy other football fans’ pain and sorrow! Admit it – there is something enjoyable in seeing other team’s fans crying like little girls because their team went down. 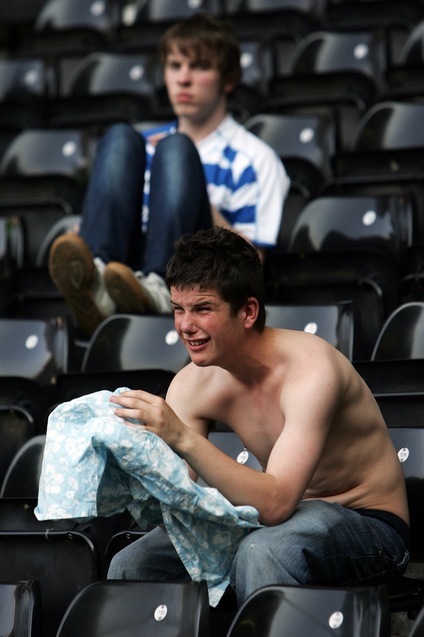 Here’s a young Reading fan blubbing into his River Island shirt, like he’s just sat through E.T. The sap.